This is a correction sheet fot the 1/144 Revell Gr.7 Harrier (code 04017). One Shot Mask is our new decals series. Only one subject, a reasonable price and a catalog always in expansion. Buy only what you need. The package including the decals and a printed painting scheme with colours suggestion. ATTENTION! These decals are printed on unique film support. You must trim as close as possible to the decal you will use. This Harrier took part at Operation Telic in Kuwait during 2003. No squadron marking was present on the plane. 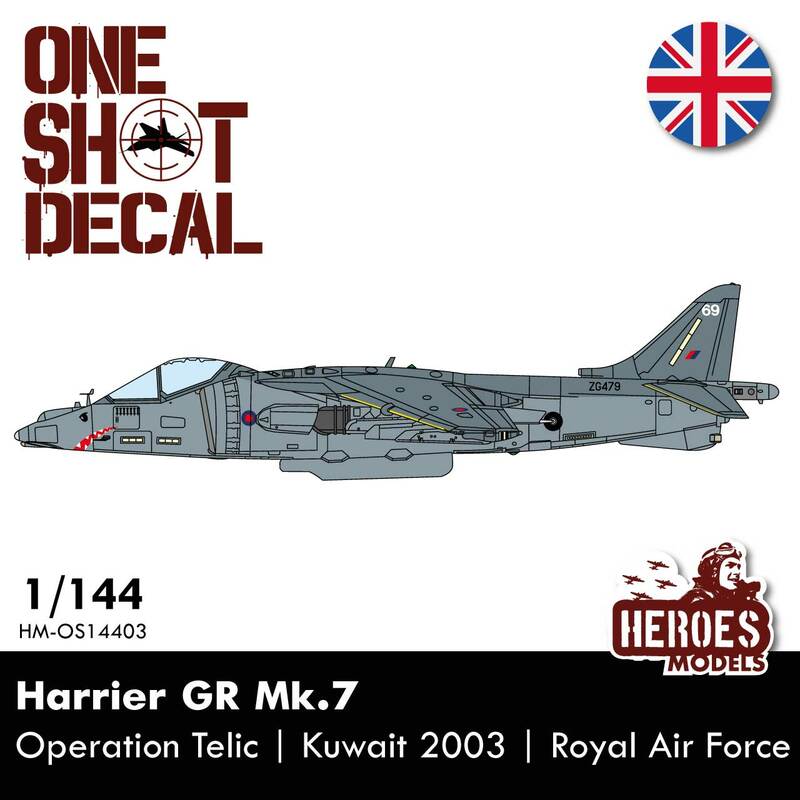 This is a correction sheet fot the 1/144 Revell Gr.7 Harrier (code 04017). The decals in the box are for two aircraft equiped with 65% Lerx. The plastic kit provides only 100% lerx option. 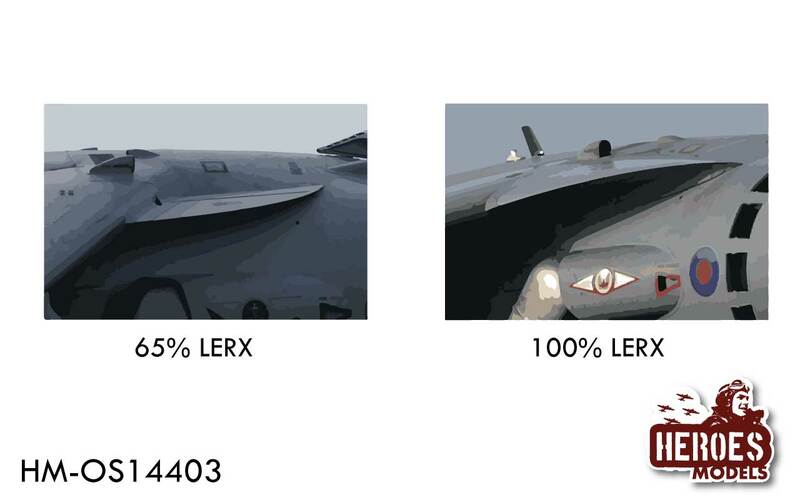 With this correction sheet you can rappresent a Harrier equiped with 100% Lerx and realize an attractive and right model without modify the kit. ATTENTION! You need part of the decals sheet inside Revell kit for stencil and national insignia.